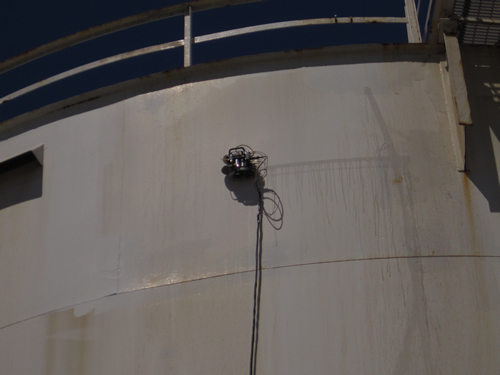 Engineering & Inspections International has acquired the Scan Tech C-1 Spider System. This ultrasonic thickness testing scanner is capable of scanning various areas of equipment such as up the side of tanks, tank roofs, pressure vessels, piping of various diameters, piping in the horizontal position, piping in the vertical position, columns, reactors, and many other applications. The scanner attaches to the side of a tank by using high strength rare-earth magnetic wheels. The unit is remotely controlled with a 100 feet umbilical cord along with a water pump and reservoir to ensure proper water path. All data is downloaded directly to a laptop computer.